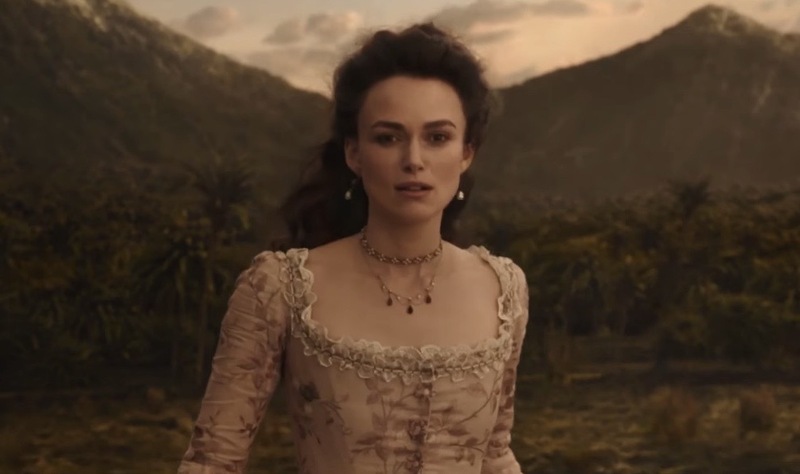 Keira Knightley will return as Elizabeth Turner for Pirates of the Caribbean: Dead Men Tell No Tales (outside of the United States and Japan the title is Pirates of the Caribbean: Salazar’s Revenge). It has been rumored that she would be returning to the film franchise to make an appearance, but it has now been confirmed with her appearance in the international trailer of the film. Knightley, and the already confirmed Orlando Bloom, will both be part of the film as the parents of Henry Turner. Henry Turner is portrayed by actor Brenton Thwaites. 2007’s Pirates of the Caribbean: At World’s End was the last Pirates film with Keira Knightley and Orlando Bloom.